Kanye West and his rumored boo Selita Ebanks did some good in the hood yesterday (November 30, 2010) at the New Yorkers for Children “Wrap to Rap” benefit at The Ainsworth in New York City. Kanye may get a bad wrap for being a bit egomaniacal, but when it comes to Christmas he’s no Grinch. The “POWER”-ful artist as well as Runaway co-star Selita Ebanks donated their time to wrap gifts to be distributed to needy children. They definitely have the holiday spirit…. I wonder if they did a G.O.O.D job. 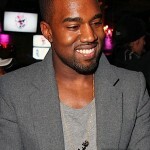 Kanye West and model Selita Ebanks were spotted leaving the the Grazia Masquerade Ball during Paris Fashion Week. The two make a very handsome couple dontcha think?